Ceramic tiles are a very highly followed trend in the modern day interior and décor. Be it bathroom or kitchen, living room or drawing room, Glazed ceramic wall tiles and Encored Ceramic wall tiles are the choices of everyone. Being stain and waterproof, naturally resistant to high humidity conditions and renowned for the long-lasting material, ceramic wall tiles keep your space appearing elegant and bright for many years to come. Finding the best tile stores for Ceramic Wall tile collection? Westside Tile and Stone end up your difficulty by showcasing the best ceramic wall tile designs with a huge ceramic tiles collection available in stock. Decorate your wall tiles with our finest quality material of ceramic tiles. Ceramic wall tile is so trendy nowadays used to enhance the elegance and long-lasting effect for many spaces of residential as well as commercial. Explore our ceramic tile gallery designed to inspire you for all your tiling needs and taste, whether it’s a stone finish or a traditional glazed finish you are searching for. Let’s find out the key features of Ceramic Tiles for walls that make these tiles superior to another material. They are easier to clean as compared to other wall coverings like paint, paper, etc. These are also highly resistant to harsh chemicals or cleaners, which makes them easy to keep clean. Ceramic tiles are resistant to dirt accumulation and also retain stains. Hence resistant to any food stain, grease or oil or paint. Both Glazed ceramic wall tiles and Encored Ceramic wall tiles are highly resistant to moisture, this is the reason ceramic tile is ideal for environments which are exposed to high levels of moisture such as bathrooms and kitchens. Ceramics have more resistance against Fire and other chemicals than any other wall covering. They are almost never affected by sunlight and chemicals and hence are resistant to color loss, this is the reason appearance of these tiles remain same for long lasting years. Ceramic tiles for walls are available in various designs and are almost all the time very Strong and long lasting as these tiles do not crack or break in touch with any heavy object. Their Environment-friendly nature makes them a primary option to be used in modern constructions as these tiles are manufactured from natural ingredients obtained from the earth. 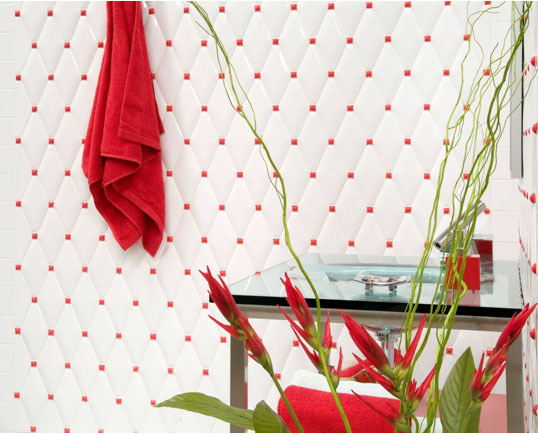 Using Ceramic Wall tiles are very safe in your home or office totally free of fumes or toxins. They are strongly resistant to fungi, moss, etc. And hence are the best option to be used in bathrooms and kitchen walls. 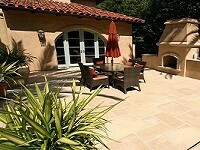 Since ceramics are resistant to accumulations, they are odor resistant. They are comparatively economical as compared to other wall cover options. After installing ceramic wall tile, you do not need to reinvest in walls maintenance after every few years. If you are looking for options to design your new bathroom, undoubtedly, glazed and encored Ceramic wall tiles are the perfect material to choose. If you want your bathroom walls to be ideal all in color, design, and texture, then ceramic wall tiles are the best of all the options to be chosen from. Since ceramics have been highly developed today and are now available in various types, a very careful selection needs to be made while choosing the perfect tile for your bathroom wall according to what are your preferences. As already mentioned, these ceramic walls are highly effective in all ways except for the fact that they can be extremely cold in winters and extremely hot in summers. The versatile architectural advantages of ceramic wall tiles make them an even better option for the kitchen in contrast to any other thing being used nowadays as a wall covering in kitchens. Due to their hygiene maintenance and moisture resisting properties ceramic wall tiles are being used the most for kitchens. 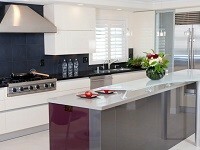 Their exceptional designing also makes them an amazing option for the kitchens. Westside Tile and Stone, being in the tiling industry for years and offering the customers with the most advanced, durable and affordable tiles all over Southern California and the greater Los Angeles area with an aim to only provide the comfort of tiles and nothing else. Following steps are the easiest to follow while making an installation of the ceramic tiles on any wall. Firstly, you have to prepare the wall to make it a drywall or a “green drywall” suitable for the ceramic tiles installation. Secondly, make sure that you make a proper pattern to fix the tiles in a proper alignment. Next, you have to install the tiles by carefully applying adhesives and tiles. In the end, grouting must be done to fix the lines between the tiles making the structure stronger. If you are looking for durable and most stylish wall tiles options, then Westside Tile and Stone is the one stop shop for your tiling needs. We offer the vast collection of ceramic wall tiles to enhance the ambiance of your space, serving the greater Los Angeles and throughout Southern California. Some of these collections are Pura Ceramic Wall Tiles, Encore ceramics, Solistone Ceramics, Adex Ceramic Neri collection with different styles and patterns like Hexagon patterned ceramic tile, White Ceramic Wall Tiles and many more which are available in glossy and matte finish. Contact us today to schedule a free, in-home consultation or visit our tile store and explore the fascinating collection of ceramic wall tiles. We work with the residents of Agoura Hills, Beverly Hills, Brentwood, Calabasas, Malibu, Northridge, Pacific Palisades, Santa Monica, West Hills, West Hollywood and the bordering neighborhoods in Southern California.